The value of establishing a SATRA-accredited laboratory, and how SATRA experts can provide setup assistance. 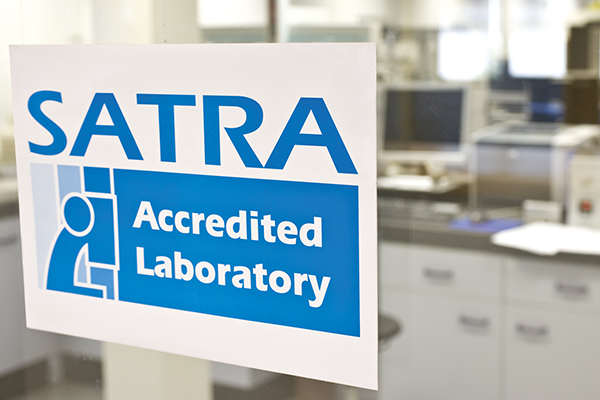 Since 1993, the SATRA Laboratory Accreditation Programme has provided an expert, independent audit of company laboratories, which can demonstrate – to both the company and their customers – that the laboratory is performing to the highest standard. For supply companies, the advantage of this accreditation is that testing can be carried out alongside production planning. This will ensure the quality of products and will also identify if there are problems before bulk production commences. In the long term, this is a cost-effective method of quality control. The world today is far more quality-conscious than ever before. A SATRA-accredited laboratory will give its customers the confidence that reliable testing is being carried out at source, and that the goods supplied are compliant with the relevant standards. In turn, this can be used to attract potential new customers. To ensure that any lab will perform as efficiently as possible, it is important to consider what your customers require, what product you need to test, what equipment you will need and how much your budget will be. A meeting with your current or potential customers should be arranged to confirm clearly what your customer requires in terms of product testing. This is the most important information, as happy customers are likely to develop a strong partnership with a company. Once the customer has provided their requirements, the relevant test equipment needs to be purchased with the confidence that the equipment can carry out the relevant tests. Finally, while keeping the customer satisfied, the testing must be cost-effective. Purchasing the relevant equipment from one supplier can help to keep costs down. SATRA supplies a wide range of testing equipment, with many machines being unique to SATRA. SATRA consultants can make a site visit to help a company choose the correct location for the laboratory, and also purchase the correct equipment. Any new machines should be supplied with a calibration certificate relevant to the test method(s) requested. If a machine is not new, it will need to be calibrated before it can be used in testing. It is essential that calibration is carried out by a competent body with proven skills and expertise. All of the equipment used in the calibration must also be calibrated to traceable and relevant standards. The calibration certificate must state that the machine meets all the requirements of the test method(s) for which it was designed. 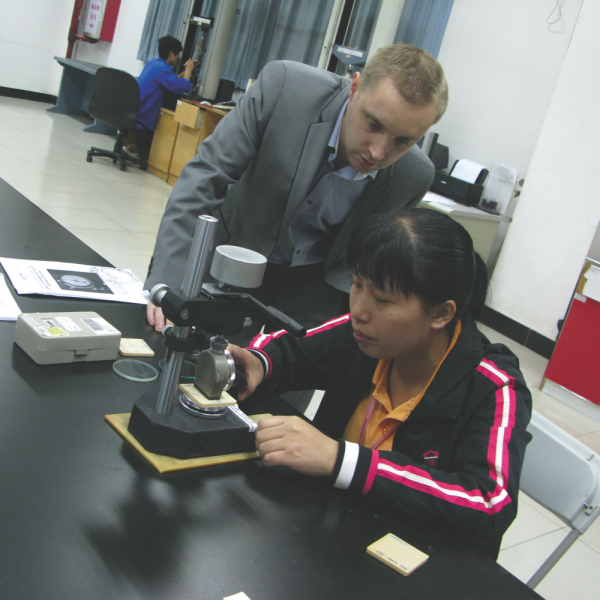 SATRA staff can visit your company and calibrate a wide range of test machines. SATRA can provide a ‘framework’ quality control manual and quality system training for the laboratory, as well as provide specific test method training for the staff in the laboratory. For accreditation to be granted, a qualified SATRA auditor must visit the laboratory and find a good quality system, calibrated machines, well-trained staff, and an effectively functioning laboratory. The auditor will recommend that the laboratory is given accredited status only if all the above are present and correct. They will receive SATRA certificates to this effect, which may be put on display in the laboratory. The company’s name and scope of testing will also be added to the list of accredited facilities on the SATRA website (www.satra.co.uk). To ensure that standards are maintained and members of staff remain totally committed to the quality system, accreditation only lasts for a limited time. It is essential for the auditor to return on a regular basis. These visits are usually annual, although in the early stages of accreditation it is recommended that the visits are more frequent to ensure that all staff members are familiar with the new system and that it continues to work effectively. SATRA accreditation is growing in popularity with laboratories in the footwear industry – whether testing whole shoes, material or components. From an empty room, or even the germ of an idea, to a fully established world-class laboratory, SATRA can assist at every stage of laboratory development, helping to choose the best location and provide a template for a comprehensive quality manual. The manual includes full written advice on how to tailor the manual to each individual company’s requirements. SATRA’s full range of laboratory consultancy services includes training of testing staff, calibration of test machines and the supply of test methods. It also provides advice on recommended performance levels, as well as help with establishing laboratory quality systems, supplying test equipment and SATRA Laboratory Accreditation. This accolade proves your commitment to quality to your current customers, as well as future ones. SATRA can help members wishing to set up in-factory laboratories, whatever their field of operation – including tanning, supplying materials and shoemaking. This article was originally published on page 36 of the January 2012 issue of SATRA Bulletin.